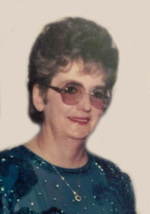 Mary Louise SantaMaria Obituary - Mays Landing, New Jersey | Boakes Funeral Home, Inc.
Mary Louise Santa Maria, “Snooks” - 76 of Northfield, passed away on January 1, 2019, with her loved ones by her side. Born in Atlantic City, Snooks was the only child to the late Robert and Mary Louise Johnson. She graduated Holy Spirit High School and attended Marymount College in Va. She retired after working nearly 40 years as a Legal secretary for the law firm of Cooper Levenson of Atlantic City. Upon retirement she worked part-time for Integrity Bus Company. She was a loving wife, devoted mother and grandmother, family was everything to her. She was a passionate sports fan, who was actively involved in her children's lives; coaching youth sports and serving as the Treasurer for Northfield All-Sports. She was also an avid reader who enjoyed lazy days by the pool. She is preceded by her parents and loving husband Philip J Santa Maria. The two were middle school sweethearts who were married over 50 years. She is survived by son Philip Santa Maria and wife Penny, daughter Gina Gavin and husband Mike and her grandchildren; Philip Santa Maria, Tony Santa Maria, Nick Santa Maria, Mickey Gavin, Tyler Gavin, Tori Gavin, Andy (squirt) Gavin and her devoted dog Rocky. All of whom will miss her greatly. A private mass will be held at 11:00am, Saturday January 12, 2019, at Holy Trinity Parish, St. James Church, 6415 Atlantic Ave., Ventnor, NJ. Friends may call one hour prior to the service.